Love Makeup? Spending hours on pinterest planning your perfect imaginary makeup station? Wishing, dreaming, hoping you had a little space all of your own for your girly goodness? Well we’re here to show you how! Now chances are you have room for a bedside table, right? Bet you have never considered forfeiting that little chest of drawers in place of a makeup table, have you? “But I need the storage for my book, night cream, headache tablets, ipad” etc etc. We hear you! 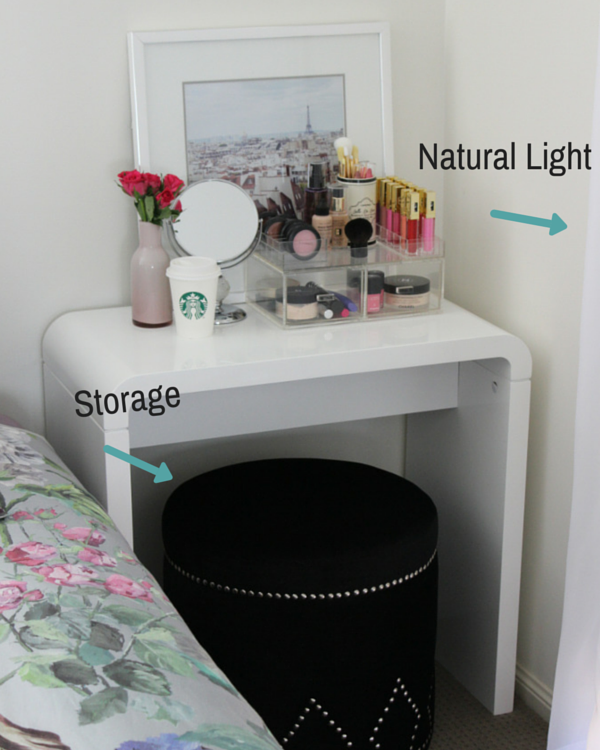 Below you will see how we have utilised a small space for our makeup, with storage for all items mentioned above with the added bonus of natural light to help give you a flawless application! 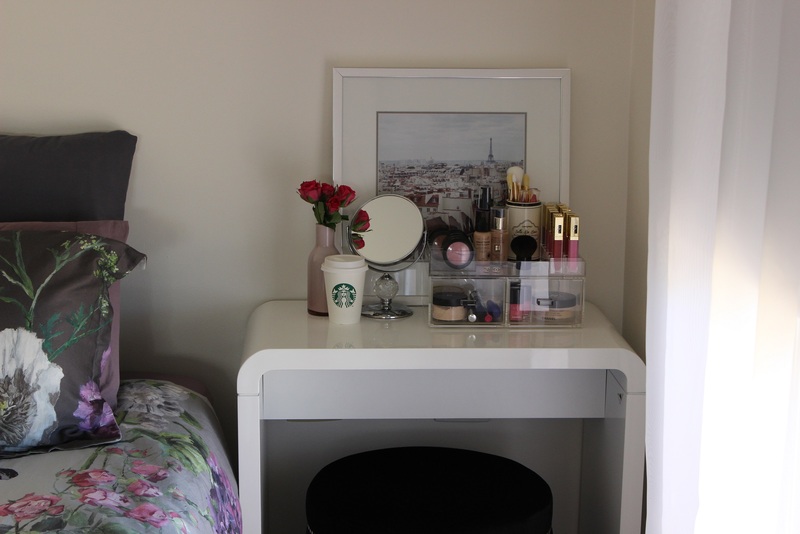 What do you think, could you sacrifice a bedside table in place of having a place to sit and do your makeup? I love this! Where is the desk from?